As a successful ladies' wholesale clothing brand, Minx Clothing UK Ltd has been a market leader in supplying clothing. 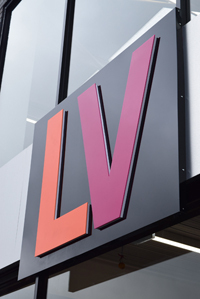 Our womenswear brand LV Clothing is the jewel in our crown, combining our many years of expertise and knowledge to flourish into one of the premier women's fashion wholesalers in the UK. Our goal at LV Clothing is to translate the hottest trends from the catwalks to the high-street without compromising quality or style, which is why we specialize in showcasing stylish luxury Italian designs that are accessible to the UK retail environment. Whether you're an independent retailer or you're buying for a store group, we can accommodate all of your fashion needs and work with you to bring you a fresh, bespoke range in a huge range of quantities and styles that will most certainly give you the edge. Customer satisfaction is our top priority, so every order is handpicked by our dedicated in-house staff to ensure our stringent quality standards are met. Returns are made simple, and we're always listening to make sure that we're constantly evolving to suit your wholesale needs. Whether you visit us in person in our plush Manchester showroom, or you prefer to click with us online, we'll do the utmost to deliver not only the most superior products, but the best customer service possible. There's much more to us than great fashion, competitive prices and a fabulous showroom. We work hard to give a wholesale shopping experience totally unlike the faceless, bland other stockists on the market. Shop with us today, and we’re confident that you'll love the bones of what we do and who we are because whilst fashions may be fleeting, our dedication to doing what we love is forever. LV Clothing. Italian Wholesale Fashion Forever.